I love a good series. Even better, I love a strong female protagonist that I can really root for. 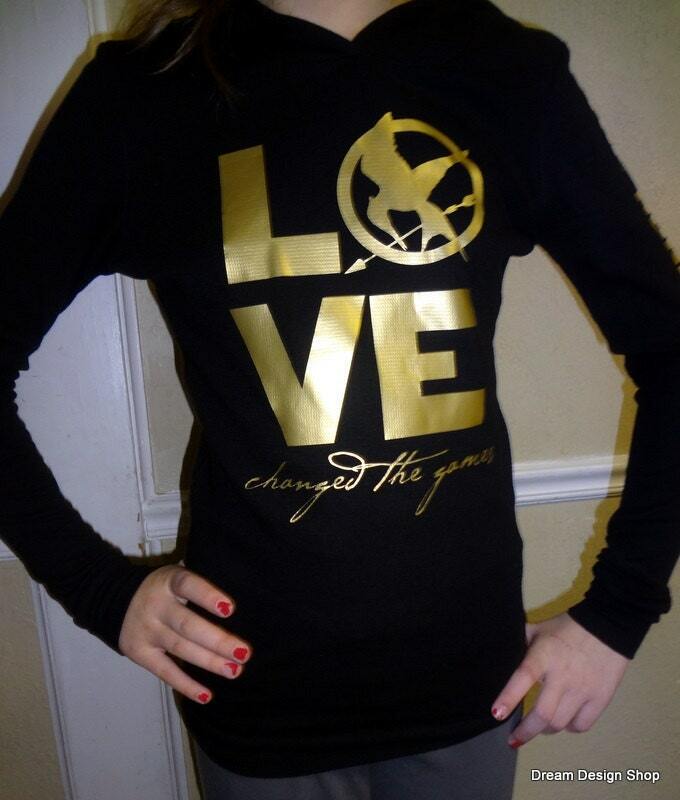 Enter The Hunger Games by Suzanne Collins, and our heroine Katniss Everdeen. I will spare you a rundown of the series, since most of you have at least heard of it, let alone devoured the books like I did. In case you just popped out from under your rock, click this link for the Wikipedia entry giving you the basics. It's a fantastic series that is making it's way to film adaptation next week. I mentioned previously that I've got my tickets to the midnight release, in IMAX no less. 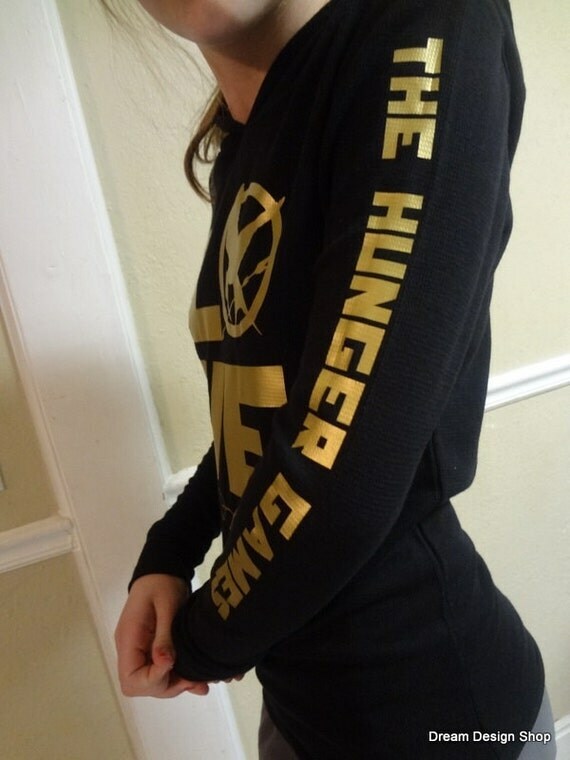 I will be going with a wonderful group of people who all loved the series, and because I geek out over books and dressing up, I have bought this cute thermal hoodie to wear! Thank you Etsy, and Dream Design Shop for being the first thing I clicked on, and the shop with the best top that completely sold me. I plan on doing up the hair and makeup big time, because that's my job. Also because I just love playing dress up. I think I will go for an Effie Trinket look, complete with piled high curls, white face, and fanciful makeup colors. I get to be very creative, I can't wait! I'm thinking a practice round is in order, to figure out just how to achieve the look I want. I will definitely post photos after the premiere! Can't wait for the pictures!